As the world waits with bated breath for the latest Sandals Resort in Barbados — a USD65 million renovation of the 280-room property, formerly Almond Casuarina — four of Sandals LaSource’s finest are poised to make their mark on the auspicious occasion. Sydney Duprey, Melissa Noel, Tascia Simon and Calista Hillaire have all been selected as model examples of the Sandals standard in their respective areas of responsibility, and therefore were wisely chosen to support the new team in Barbados as they ready themselves for their opening on 28 January 2015. 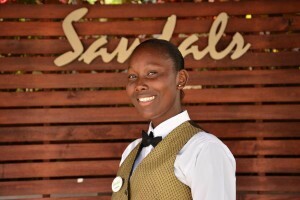 From Gouyave St John, Sydney started at Sandals LaSource as a Server and was promoted to Supervisor after 4 months at the first steakhouse in the resort chain, named after the Chairman and held to the highest of standards. His commitment, detail orientation, service skills and natural leadership ability showed his supervisors very early, a picture of a leader with a vision for his team. 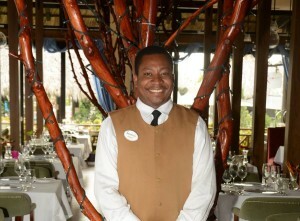 His recommendation to be a part of the Barbados support team came from his Food and Beverage Director, Vincent Moreau, who is confident he will lead in Barbados by example and with a smile. Melissa Noel from Point Salines also started in Butch’s Chophouse kitchen as acting Chef-de-Partie/Supervisor. 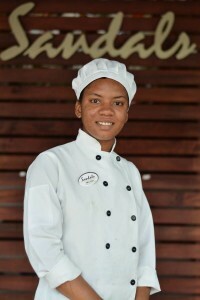 Her mastery of cooking temperatures and experience at this flagship restaurant position her ideally for passing on the requisite knowledge to a new team, as Barbados will also be offering a steakhouse as one of its 11 restaurant options. The third member of the team is Tascia Simon from St David, who with no former training in sushi preparation, has astounded everyone with her learning speed in the precision and science of sushi. 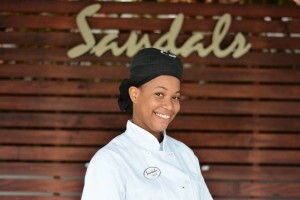 Positioned in the Soy (sushi restaurant) kitchen from the beginning, her accelerated knowledge and demonstrated skill combined with winning personality means that at only 20 years of age, Tascia will help with the training of the Soy team in Sandals Barbados. Clarista Hillaire from Carriere in St Andrew is the fourth member of the support team. She is rated by her manager as an outstanding butler with a positive attitude, always willing to learn more and do more. He is confident that her cognisance of the importance of being a team player, along with her creativity and dedication to service, really makes her an exemplary role model and she will be a great asset to the Barbados team. All four members of staff expressed their pleasure at being selected, and at the significant confidence placed in their ability. While each looks forward to sharing their knowledge and experience gained over the last year, they are equally excited about the multiple benefits brought by this opportunity, including increased exposure to their craft, strengthened communication skills, and further boost to self-confidence. In addition, they agree, while they thoroughly enjoy what they do, having their efforts recognized in this way is truly incredible. The team is to offer assistance for the opening and beyond at Sandals Barbados which will see them spending approximately 3 months at the property. 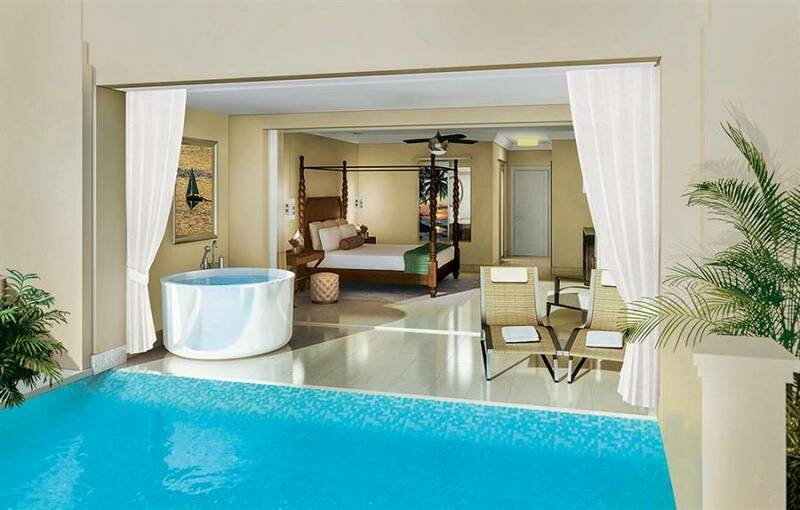 Among the wide-ranging renovations of all 280 rooms, Sandals Barbados will introduce 7 new gourmet restaurants bringing the total to 11, including Sandals Resorts’ first Indian cuisine restaurant and a steakhouse.